Trades executed at the best possible prices. Computers don't make mistakes like humans do. The moment they get a signal to buy/sell, they will act on it quicker than any human can, thus getting you into the market at the best possible price and in front of the herd. As a professional trader, a quick Manuel trade is considered around 2 seconds, by then price can move and the opportunity can be lost. For automated machine trading, 2 seconds is considered a lifetime and will get the job done instantly. Reduced possibility of mistakes by human traders due to emotional and psychological factors. Machines do not have emotions and traders who incorporate this into their trading have a huge advantage over manual traders. Fear and greed prevent us from doing what is right. Machines don’t cloud their decisions based on any external factors as they just follow what’s written in the program. Your strategy truly gets a fair chance when you drop emotions out of the equation. Diversify into multiple assets and time-frames and scale your portfolio. With algorithmic trading, you are able to analyze and trade multiple markets, assets and time-frames at once. Thus increasing profitable opportunities, and decreasing the amount of time you have to spend in-front of a screen researching the market. Also by researching multiple markets at once, you will pick up and learn advanced strategies and correlations in assets that only the big institutions can pick up on. Back-test your strategy on historical and real time data, to get a forecast of possible returns and market outcomes. Rather than you manually looking through past price action data and decide if your idea works or not, you can run your strategy on decades of data and analyze how your strategy performs in all market conditions, and then decide in which market conditions you will run this strategy to consistently beat the market. So what is a trading system and how does it work? A trading system is simply a trading strategy idea that has been summed up into a set of rules. Which is then applied to data, which in return generates buy/sell signals. Creating a profitable trading system requires you to use your own unique ideas and skills. Once you have identified a potential market inflection point, you then apply advanced mathematical and statistical models to your strategy to quantify your idea, with the sole objective to create an alpha-seeking strategy. An alpha-seeking strategy put simply is a profitable trading strategy that can consistently generate returns that are independent of the direction of the overall market. Just like anything else, you need to learn the tools of the trade before you can get started, and your success as an algorithmic trader will depend largely on how well you pick up on these new skills and ideas you will learn. Lets go over each element in detail. This step focuses on developing a strategy that suits your own personal characteristics. Factors such as personal risk profile, time commitment and trading capital are all important to think about when developing a strategy. You can then begin to identify the persistent market inefficiencies, like the ones i will mention below. Having identified a market inefficiency you can begin to code a trading robot suited to your own personal characteristics. Then we move onto the most important part of Algorithmic Trading, which is data. Data is the oxygen for algorithmic trading. Market data is price and trade-related data for a financial instrument reported by a trading venue such as a stock exchange. Market data allows traders and investors to know the latest price and see historical trends for instruments such as equities, fixed-income products, derivatives and currencies. Market price data is not only used in real time to make on-the-spot decisions about buying or selling, but historical market data can also be used to project pricing trends and to calculate market risk on portfolios of investments that may be held by an individual or an institutional investor. So where do we find this data? Well you need a financial data feed. Financial data feeds are price data services provided by financial data vendors. In order to analyse price data and apply technical indicators to come up with trading strategy ideas, you need a charting platform. I have put a list down below of charting platforms you can check out and use. Keep in mind, everyone has their own preferred taste when it comes to charting platforms. C++ is most efficient at processing high volumes of data, hence why it is commonly used with High-Frequency Trading (HFT). Furthermore, C++ is used for many banks’ legacy systems. Switching to a new language and programmer will require huge amounts of resources to be spent, so demand for C++ developers is here to stay. It has been reported that Java is the most sought after programming language on Wall Street. Java is largely used for data modelling, simulations, and low latency execution (although there is a debate on whether Java or C++ is more useful in HFT). R is an open source programming language primarily used in statistics and data analytics. Any good trading algorithm has to be extensively tested using sample data. R allows designing of programs that generate trading signals and maximise strategy’s returns. Choosing a good broker is very important when you decide to trade live. But not all the good brokers are good for you, you have to take the time to find the right broker to fit your trading style. So what do you look for? USA – The Commodities Futures Trading Commission (CFTC) and the National Futures Association (NFA). UK – The Financial Conduct Authority (FCA) and Prudential Regulation Authority (PRA). Switzerland – Swiss Financial Market Supervisory Authority or (FINMA) and Association Romande des Intermédiaire Financiers (ARIF). Hong Kong – The Hong Kong Securities and Futures Commission (SFC). Trading platforms that are compatible. Does not provide historical data or any back-testing support, but it has good API and low fees. Has a very well integrated platform with their own high-level language for designing and back-testing trading strategies. But their fees can be pretty high. They have a JSON API that is reasonably well-documented. The fees are quite low, depending on what you trade. It does have historical data. 1. Come up with a trading strategy. 2. Found a source of data for your algorithmic trading. 3. Confident with a charting software. 4. Learned to code in a programming language mentioned above. 5. Selected a reliable broker. Optimization: So, now you have coded a robot that works and at this stage you want to maximize its performance while minimizing over-fitting bias. To maximize performance you first need to select a good performance measure that captures risk and reward elements, as well as consistency (e.g. Sharpe ratio). Over-fitting bias occurs when your robot is too closely based on past data; such a robot will give off the illusion of high performance but since the future never completely resembles the past it may actually fail. Index funds have defined periods of re-balancing to bring their holdings to par with their respective benchmark indices. This creates profitable opportunities for algorithmic traders, who capitalize on expected trades that offer 20-80 basis points profits depending upon the number of stocks in the index fund, just prior to index fund re-balancing. Such trades are initiated via algorithmic trading systems for timely execution and best prices. In Machine Learning based trading, algorithms are used to predict the range for very short term price movements at a certain confidence interval in statistical terms. The advantage of using Artificial Intelligence (AI) is that humans develop the initial software and the AI itself develops the model and improves it over time. A large number of funds rely on computer models built by data scientists and quants but they’re usually static, i.e they don’t change with the market. Machine Learning based models on the other hand can analyse large amounts of data at high speed and improve themselves through such analysis. A form of machine learning called ‘Bayesian networks’ can be used to predict market trends while utilizing a couple of machines. An AI which includes techniques such as evolutionary computation (which is inspired by genetics) and deep learning might run across hundreds or even thousands of machines. It can create a large and random collection of digital stock traders and test their performance on historical data. It then picks the best performers and uses their style/patterns to create a new breed of evolved traders. This process repeats multiple times and a digital trader that can fully operate on its own is created. Bloomberg Terminals have incorporated live Tweets into its economic data service. Bloomberg Social Velocity tracks abnormal spikes in chatter about specific companies. A noteworthy example of an abnormal news item affecting stocks markets was from April 23rd 2013, 1:05PM – the day a false Tweet sent by the Associate Press account stated that the White House was hit by two explosions; this caused widespread panic on Wall Street. Dow Jones plummeted 143 points (1%) in 3 minutes from 14699 to 14556. On September 2012, Dataminr launched a brand new service with $30 million investment, which turns social media streams into actionable trading signals. This helps report the latest business news up to 54 minutes faster than conventional news coverage. The platform was able to identify a number of distinct “micro-trends” which can provide clients with unique insights and help them predict what the world may soon be focused on. Some of these signals include – on-the-ground chatter, consumer product reactions, discussion shifts in niche online communities, and growth and decay patterns in public attention. Detecting linguistic and propagation patterns across the over 340 million messages shared on Twitter daily are some of the features of the real-time analytics engine which processes an aggregate of public Tweets. A firm called Fixnetix developed a microchip that can execute trades in nanoseconds, which is equal to one billionth of a second. During the year 2012, Algorithmic Trading had taken over the stock markets by storm and was responsible for 70% of all US equity trades. IT companies invest millions on Algorithmic Trading technology. One new computer chip built specifically for Algorithmic Trading prepares trades in 0.000000074 seconds. 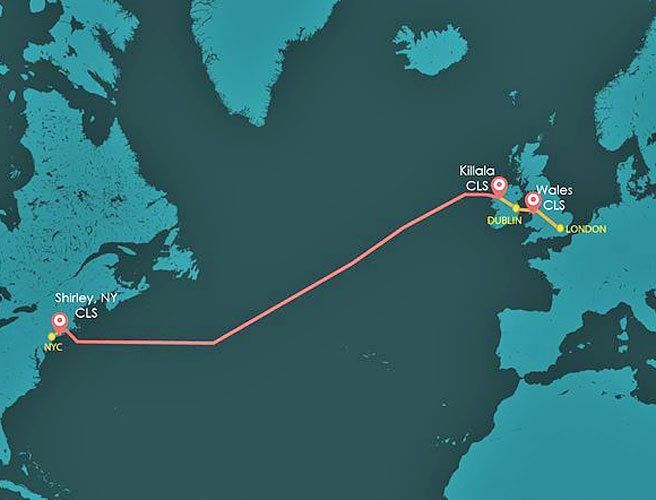 A $300 million transatlantic cable is being built just to shave 0.006 seconds off transaction times between New York City and London. Ever wanted to become an algorithmic trader with the ability to code your own trading robot? Well, Hackner Intel, creator of the online algorithmic trading course 'The Algorithmic Trading Blueprint', may have the solution for you. With a team of former research analysts and prop traders, the course is a step by step blueprint to take you from beginner to expert in algorithmic trading. Watch another quick tutorial from the Zorro team where they develop their own simple trading algorithm, step by step.